There's a problem in rural Eswatini. It's a problem that plagues rural communities around the world. Students in rural Eswatini are expected to perform at comparable levels to their city dwelling counterparts. However, rural Swazi students live in communities that often lack resources. While teaching my students, I noticed that we are attempting to educate young people in the information age without access to information. As the internet became more robust and resourceful, I thought that everyone was benefiting from this information boom. I thought that everyone could "just Google it". 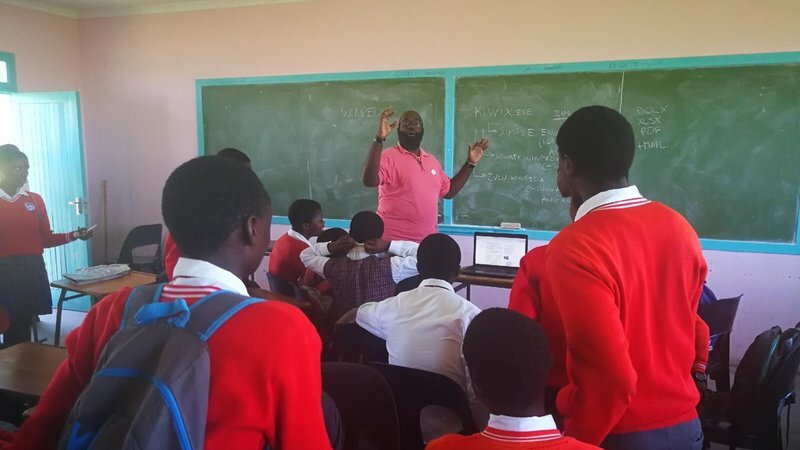 Two years ago, I moved to rural Eswatini and quickly realized that it's impossible to "just Google it" when your community lacks infrastructure for reliable internet connection. The high cost of internet usage also factors into its accessibility to rural communities. I was not alone in this observation. Enter information repository, Wikipedia. For years, Wikipedia had done regular backups of its entire database which includes millions of articles and images spanning all the world's knowledge. Some time ago, Wikipedia decided that they would make these database backups available for download to the public. Several programmers began to design programs that could read and make sense of those Wikipedia datasets. From these efforts, we have Kiwix, an offline browser and content reader. Kiwix turns Wikipedia datasets into a fully functional version of Wikipedia offline. After playing around with the program, I presented it to my principal and teaching counterpart. 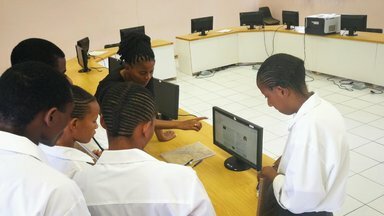 They were impressed with the Kiwix functionality and agreed that we needed these resources in our school's computer lab. This past January, we installed the Kiwix software and several Wikipedia packages, and began teaching our students how to use the software. The students are excited because they can learn about anything that piques their interests. Teachers are excited because they have another resource to prepare lectures and lesson plans. My principal exclaimed his excitement after seeing students use the software saying, "this is almost like we have the internet". 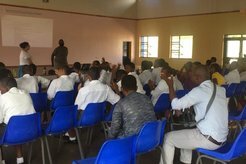 Since January, I have been teaching students and teachers around Eswatini how to use the Kiwix software and accompanying Wikipedia packages. Students have been using the software for homework assistance and exam preparation. Some students used the offline Wikipedia to support their respective arguments in preparation for debates. 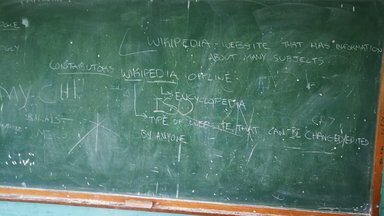 Teachers have used the offline Wikipedia to provide students with additional explanations of complex subjects. The possibilities are as vast as one's imagination. Kirby Riley is a tinkerer and problem solver who loves to ask the question, "Why not?" He hails from Washington, DC and loves bicycles, beards, and Burning Man.